Trefethen Family Vineyards has enjoyed being included in the prestigious Boston Wine Festival since its founding. Chef Daniel Bruce and team have an uncanny talent for creating perfectly-complimented wine and food pairings that are the centerpiece of the event. The uncompromised service from the Boston Harbor Hotel staff is perfectly tuned. The festival is an outstanding opportunity for both the wine-savvy and the oenophile to have intimate experiences with winemakers from the best vineyards in America. 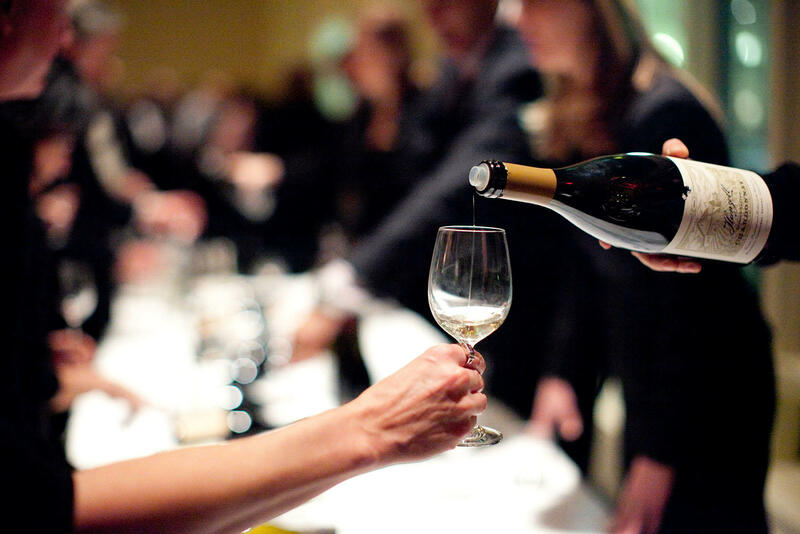 The Boston Wine Festival is one of the truly must-attend wine and food events year in and year out. What a run at the Boston Wine Festival! The longevity and levity are a testament to your untiring devotion to excellence and personal touch. It has been my extreme pleasure joining with you on this long running event. It is a wine industry standard that will live in a swirling glass memory forever. I remember the first time I saw Chef Daniel Bruce, it was in Nantucket and he had a big T Bone on his hand, ready to be cooked. I told myself, this is the guy for a next pairing ! One year later, we had this wonderful Cos d’Estournel experience for the 25th Boston Wine Festival. The BWF is a great opportunity to live the best moments between food, wine and vintners. The organization is so amazing that we could compare it to the Haute Couture. But above all, it is a story of love, sharing and friendship. Our family is proud that we have shared Heitz Cellars wines at the Boston Wine Festival for three generations. In 1989, Chef Bruce had an exciting idea to create one-of-a-kind menus paired exclusively with the best wines in the country. It was an instant hit with wine lovers, and it has always been one of the best culinary events in the country. My dad and I have loved hosting wine dinners at the Boston Wine Festival from the very beginning. Chef Bruce and his staff never fail to surprise and delight with their wonderful, creative approach to food and wine – producing unforgettable synergy between what’s on the plate and what’s in the glass. Maybe it’s a Boston thing but the guests are always open to new things and a lot of fun to spend an evening with. The recipes are so incredibly easy and flavorful! Some of my favorites are the New England clam chowder and the pan seared diver scallops with cider butter.... always takes me back to my summers in Nantucket! It's a great compilation of New England recipes.... I never grow tired of using this cookbook as my "go to". This cookbook is more than a cookbook. It draws you into Daniel Bruce's world, and makes his recipes enticing. Then, when following his very clear, uncomplicated recipes [with wonderful comments] tasting the food is the reward.